Citation: Vuvor F, Fabea L (2017) Assessment of Body Mass Index (BMI) as a Measure of Socioeconomic Status (SES) of Adults in Ghana. 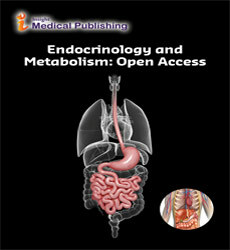 Endocrinol Metab Vol. 1 No. 2:7. Copyright: © 2017 Vuvor F, et al. This is an open-access article distributed under the terms of the Creative Commons Attribution License, which permits unrestricted use, distribution and reproduction in any medium, provided the original author and source are credited. Introduction: Body mass index (BMI) is a measure of body fat based on height and weight that applies to adult men and women. There is a link between socioeconomic status of adults and their body weight. The study was carried out to ascertain how strongly BMI is associated with adult SES and also to determine the risks associated with the extremes BMI. Method: It was a cross-sectional study of hundred adults in a commercial district of Accra, Ghana. The data on socioeconomic status was collected using WHO Stepwise questionnaire. The BMI values were computed using weight in kilograms and squared of height in metres (kg/m2). Standard procedures were used to measure the weight in kilogram and height in metres. The data was analyzed using SPSS and Microsoft Excel. Results: About 54% of the respondents were in the low socioeconomic group based on their personal possessions and monthly incomes. About 65% of the respondents were overweight and 2% were underweight. The number of obese people were positively associated with the number of people of low socioeconomic status (P<0.001). Conclusion: The level of education influences one’s occupation and income and finally one’s SES. Women in the lower socioeconomic group are more likely to be obese compared to their male counterparts who are more likely to be underweight. The BMI in this study was inversely proportional to the socioeconomic status levels of adults in community. The living conditions and types of food that a person consumes affect his/her state of health. As the society improves socially and economically, the lifestyles of the people change with respect to their food and eating habits. There is therefore the tendency of people shying away from the homemade foods, which may be nutritionally superior to the consumption of fast foods. With an improvement in the economy, people in the developing countries especially, think they must adopt a more modernized lifestyle which negatively affect their nutritional status . The Global Nutrition report recorded about 33.6% and 12.2% of adult Ghanaians to be overweight and obese respectively. It was also indicated that there has been an increase in the prevalence rate from 2010-2014 . This may be strongly due to change in eating patterns and physical activity, which may also be partly owing to improvement of the economy of Ghana. This trend has led to diet-related diseases not only affecting the affluent societies but also the developing world; if not more badly . The Ghana demographic and health survey (GDHS)  unearthed that non-communicable diseases such as cardiovascular diseases, cancer, diabetes and other diseases cause about 60% of deaths globally of which about 80% occur in developing countries. Incidence of circulatory system diseases and cancers for the developed world included 21% (2,544) and 45.6% (5,522) respectively while that for the developing world was 9.5% (3,802) and 24.5% (9,778) for circulatory system diseases and cancer respectively . Obviously as the economy develops, eating habits and physical activity patterns change and this leads to increase in BMI and therefore increase in lifestyle related diseases. It is therefore necessary to assess one’s nutritional status. Information on SES, certain anthropometric measurements (body measurements) such as weight, height and body circumference are means of assessing the general health of an individual and nutritional status as well as the risk of suffering certain disease conditions. For instance, the loss of weight in the elderly may give a clue to depression or cancer [5,6]. The food a person eats and therefore his/her body composition is however, largely dependent on his/her SES. SES is define as an individual’s position within a hierarchical social structure influenced by a combination of variables such as occupation, education, income, wealth and place of residence . It is important for researchers to consider SES when conducting health studies, because people of different SES levels may have different access to formal education, medical care, healthy food, and physical activity opportunities. To make reliable informative statements about the nutritional status of a subject under study, it may sometimes be necessary to combine some of these parameters to give a new index which may then be used for assessment e.g. BMI, a weight-for-height measurement . This study thus would ascertain how BMI correlates with SES, which may also relate to risk of diet, related non-communicable diseases of adults. The study conducted was a cross-sectional study involving adults aged ≥ 25 years. Standard procedures were used to take the measurements weight in kilogram and height in meters. Interviewer-administered WHO Stepwise questionnaires were modified to gather all other information. The data was analyzed with SPSS Version 16 and Microsoft Excel 2003 Office Version. To determine the socioeconomic status, the subjects were classified into three socioeconomic groups based on their possessions and incomes. Each response was weighted and given comparative value for each respondent. The total scores obtained from each respondent were categorized into High and Low SES. The distribution of the respondents according to age as available in Table 1 shows that 48% of the respondents comprising 22 males and 26 females were in the age range of between 30 and 39 years, whilst 36% made up of 8 males and 28 females respectively were between the ages of 50-59 years. About 5 males and 11 females forming 16% were in the 40-49 age groups. The proportion of males to females in this study was 35% to 65% respectively. Table 1 Socio-demographic characteristics of respondents. Socioeconomic status has many indicators some of which are educational level, income, occupation, house ownership, access to services such as water, etc. All the information on the questionnaire was combined using scores to obtain the SES of the respondents in this study. Table 1 shows the pattern of the educational level of the subjects. Approximately 44 (67.7%) of the female subjects had education below secondary level, compared to 14 (40%) of the males. About 60% of the males had had skilled or higher education, whilst only 26% of the females had had such education. Close to 60% of the total population had just primary or secondary education. A few females had no education (6.2%). The occupations of the respondents were put into two main groups as formal sector and informal sector. This categorization was based on the level of skill and educational level needed for such occupation. Seventy-six percent (76%) of the subjects were put into the informal sector thus 54(83.1%) of the females subjects and 22 (62.9%) of males subjects. The income ranges of the respondents are shown in Table 1. Only 9% of the total population earned above $125 in a month. Twenty four percent (24%) made less than or just above the minimum salary for Ghanaians ($8.4). Fifty percent of the respondents netted a little less than three times the minimum salary. More than fifty percent (54%) of the subjects were classified as being of low SES, 32% and 14% in the middle and high SES class respectively. The percentages of the respondents by gender in each of the three classes are shown in Table 1. It shows that 43 (66%) of the females were of low socioeconomic status compared to 11(31.4%) of the males in that class. There were only 5(7.6%) of the females in the high socioeconomic class compared to 9(25.7%) of the males. Most of the males (42.9%) were in middle class, whilst most of the females were rather in the low socioeconomic class. The average weight of the males was 70.5 ± 14.5 kg. This weight was only different by 0.5kg from the weight of an average man which is 70 kg . The weight of the male respondents had a minimum value of 56kg and a maximum value of 85 kg. The average height of the male population was 1.7 ± 0.1 m. For the female respondents, the average weight was 76.1 ± 14.7 kg; with a minimum of 61.4 kg and a maximum of 90.8 kg. The average height of the females was also 1.6 ± 0.1 m; also with a minimum of 1.5 m and a maximum of 1.7 m (Table 2). Table 2 Weight and height distribution between males and females. The BMI value obtained using the minimum weight and minimum height showed the male population to be a normal and healthy one, using the maximum weight and height on the other hand showed the population to be slightly overweight. However, the male respondents may be classified on average as a normal and healthy population. From these results, it can be seen that the female population was heavier than the male population although the males were taller than they were. The BMI values obtained using minimum height of the females and their minimum weight, showed the population to be overweight but were classified as obese with a BMI of about 31 using the maximum weight and height. The female population can therefore be said to be on the average an overweight population (Table 3). Table 3 Height, weight and BMI of all respondents. About 5% of the males were classified as underweight, a little over 50% had a normal weight, about 35% were overweight and almost 10% were obese (Table 4). The GDHS  reported similar results as the prevalence of underweight, normal weight and overweight/obesity among Ghanaian men were 10%, 74% and 16% respectively. Further, about 35% and more than 40% of the females were overweight and obese respectively. Only about 20% were of normal weight with none being underweight (Table 4). The GDHS  corroborate this results. From the results in Table 3, it shows that the population sampled on the average was an overweight one with a BMI value of 27.9 in comparison with 2014 GDHS (23.5 and 27.0 for Ghanaian men and women respectively) . Table 4 Distribution of BMI between males and females. Displayed in Table 5 is the comparison of BMI against SES. Among male respondents in the low class, majority had a normal weight (72.7) whereas most of females in this class were overweight (37.2) and obese (39.5). About half of both male and female respondents in the middle class were overweight/obese. Only a few of subjects in the high class were obese (7.1%). No one was underweight in this class. Roughly 25% of them were classified as normal weight with none as underweight. The proportion of overweight and obese women to overweight and obese men shows that more women in the low socioeconomic class were overweight and obese than men. Table 5 Comparison of BMI against SES. Research has shown that BMI is positively associated with education and household wealth . For females in this study, a low educational level is associated with higher BMI values. Since more than 50% of the women were of lower educational level an important indicator of SES, it explains why they had the higher BMI values. A study by Dinsa et al. revealed that the association between SES and obesity is positive for both men and women. That is, the higher the level of education, the higher the risk of obesity. However, the association is largely mixed for men and negative for women in middle income countries. Mbada et al. however concluded that there is an inverse relationship between SES and BMI as observed in this study. Thus, people with low SES had high BMI and more at risk of overweight/obesity. For women in economically more advanced developing countries, especially in the urban areas, obesity is high among those in the lower socioeconomic classes . This is confirmed in the GDHS  which reported that women in the urban areas are more likely to be obese (49%) than rural areas (28%). In the middle class, there were an almost equal number of males and females. The males in the middle class formed 15% of the population whilst the females formed 17% of the population sampled, more than half the women (52.9%) were obese compared to 6.7% of the men. However, more males in this class were overweight than of normal weight. In the high socioeconomic class, the proportion of obese women decreased compared to their proportion in the low and middle socioeconomic group. This indicates that as the socioeconomic status of the women increased, their BMI decreased. Women in the higher socioeconomic group have access to information and good nutrition and so are often healthy eaters . Such people are more likely to have lower BMI values. For the men however, only a few were obese. Yet, the proportions of overweight men increased as their socioeconomic status increased. Davidson et al. reported that men in the higher socioeconomic groups tend to be overweight and obese due mostly to the food and alcohol of the business lunches. The GDHS  also highlighted that 18% of Ghanaian men with primary education are underweight whereas those with higher education are overweight. The gender of a person and his/her socioeconomic status has been found to affect his/her BMI [13,14]. The whole population on average was a low socioeconomic group or population and since more women than men were sampled it explains why the average BMI of the population was interpreted as overweight because women who formed more than 60% of the population sampled were of low socioeconomic standing as well as overweight and obese. BMI together with SES, can be used to determine the nutritional status of adults as well as the risk of nutrition related diseases which have a direct relationship with the amounts of fat present in the body. Ghanaian women have low socioeconomic status and overweight/obesity is more prevalent as compared to men. This portrays that SES is inversely proportional to BMI (the lower the SES, the higher the BMI) in women but directly proportional in men (the lower the SES, the lower the BMI). Thiam I, Samba K, Lwanga D(2006) Diet-related chronic disease and double burden of malnutrition in West Africa. United Nation Standing Committee on Nutrition News. Ng M, Fleming T, Robinson M, Thomson B, GraetzN, et al. ( 2014) Global, regional, and national prevalence of overweight and obesity in children and adults during 1980–2013: A systematic analysis for the Global Burden of Disease Study 2013. Lancet 384: 766-781. James P (1998) The global nutrition challenge in the millenium. Presentation of the draft Commission Report in ACC/SCN Symposium Report Nutrition Policy Paper. Sakeah E, Doctor HV, McCloskey L, Bernstein J, Yeboah-Antwi K, et al. (2014) Using the community-based health planning and services program to promote skilled delivery in rural Ghana: Socio-demographic factors that influence women utilization of skilled attendants at birth in Northern Ghana. BMC Public Health 14: 344. Galobardes B, Shaw M, Lawlor DA, Lynch JW (2006)Indicators of socioeconomic position (part 1). J Epidemiol Community Health 60: 7-12. Nix S (2016) Williams' Basic Nutrition & Diet Therapy-E-Book. Mader S(1994) Inquiry into life: laboratory manual (7th edn.). Brown Publishers, Dubuque. Dinsa GD, Goryakin Y, Fumagalli E, Suhrcke M (2012) Obesity and socioeconomic status in developing countries: A systematic review. Obes Rev 13: 1067-1079. Mbada CE, Adedoyin RA, Odejide AS (2009) Relationship between socioeconomic status and body mass index among adult Nigerians. African Journal of Physiotherapy and Rehabilitation Sciences 1: 1-6. Hawkes C, Eckhardt C, Ruel M, Minot N (2005) Diet quality, poverty, and food policy: A new research agenda for obesity prevention in developing countries. SCN News 29: 20-22. McNaughton SA, Crawford D, Ball K, Salmon J (2012) Understanding determinants of nutrition, physical activity and quality of life among older adults: the Wellbeing, Eating and Exercise for a Long Life (WELL) study. Health Qual Life Outcomes 10: 109. Paeratakul S, Lovejoy JC, Ryan DH, Bray GA(2002) The relation of gender, race and socioeconomic status to obesity and obesity comorbidities in a sample of US adults.Int J ObesRelatMetabDisord 26:1205-10. Cameron A (2017) Callimachus and his critics.Princeton University Press, Princeton.